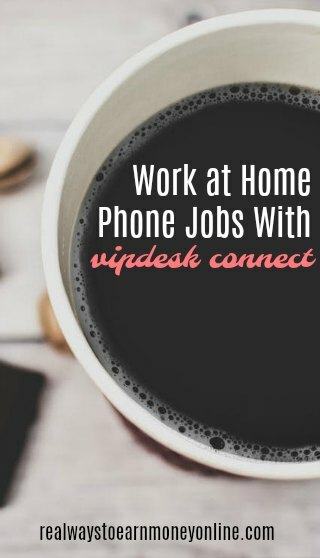 VIPdesk Connect Review – Take Calls From Home For Major Companies! Published September 20, 2017 By Anna T. This post may contain affiliate links. Regardless, I only recommend sites I've researched and/or used and trust. VIPdesk Connect is a company that provides outsourced customer service work for well known, name brand companies. Hiring people who work from home is a big part of their business model. Except in very rare occasions they only offer jobs to United States residents. In addition to customer service, the company also handles social media management and consulting, back office support, and helps clients manage the technical challenges of setting up an outsourced customer service program for their business. The careers page on the website doesn’t provide a great deal of information on the actual specifics of working for the company. But if you dig a little deeper and look at the jobs they’re currently offering, you can get a better idea. Most of their current job openings have roughly similar requirements, so it sounds like this is basically an all-purpose customer service position. If you get this job, you’ll likely have to deal with a wide variety of different issues, depending on the specific caller. Flexibility, a good knowledge of the products on offer, and people skills will all probably be major assets. Most of their currently available positions don’t provide information about compensation, but I found one job that explicitly mentions a $10.00 per hour rate. I did a little more digging around the Internet, and from what I can tell, $10.00 is the standard rate paid to nearly all their home-based employees. The company also gives workers opportunities for earning commissions and other kinds of bonuses, but it sounds like these aren’t that easy to get. It probably depends on the specific company you’re providing customer service for. Scheduling appears to be somewhat flexible. For most available jobs, you’re expected to work between 30 and 40 hours a week, and you can spread those hours however you want by clocking in during the available working shifts—from 12:00pm to 11:00pm during the week, and from 9:00am to 8:00pm on Saturday and Sunday. Most of the jobs have actual location requirements, and the shift timezones vary depending on where you live. Many VIPdesk Connect positions have fairly stringent requirements. Some jobs require you to live close enough to attend in-person training sessions, others expect you to pass a credit or background check. If you look further down, at their preferred qualifications for all the different positions, it becomes clear that they have fairly high expectations. In many cases they are looking for people with College degrees and several years of prior customer service experience. Training for some jobs is very extensive—three weeks or more in a virtual online class with required attendance at certain specific times. But they do pay you during the training period. The technical requirements for each job differ somewhat. Home Office – Home office is in a separate room that is noise-free and has a door with locks. Internet Access – minimum 2.5 Mbps download and 1 Mbps upload without packet loss or delay – DSL, or Cable (dial-up, satellite, and wireless connections are NOT permitted). Internet connection must be a wired connection to your computer (wireless not permitted). Ability to receive and send faxes. Sound card with speakers or USB speakers. Anti-Virus Software, Anti-Spyware, & Firewall – Current and regularly updated required. USB headset that meets VIPdesk Connect requirements. Processor Speed – Dual Core Processor: 2 GHz or higher. Processor Speed – Dual Core Processor: 1.5 GHz or higher. Processor Speed – Single Processor: 3 GHz or higher. Dual Core Processor: 1.5 GHz or higher. Applicants fill out an online form and submit a resume. There are various ways to provide your resume, including a file upload, giving them the web-address for your Linkedin profile, or simply typing the resume into a form directly. Once the application is submitted, you must wait for the company to contact you later via email with further details. You can get a decent overview of worker opinions on VIPconnect by checking their employee review page on Glassdoor.com. Generally, the feedback is more positive than negative. Many felt that the pay was decent in comparison to most other call center jobs, and the work itself wasn’t particularly difficult. On the negative side, the most common complaint was a lack of responsiveness from the management and heavy-handedness, with rules that aren’t very well defined. Others mentioned technical difficulties that led to loss of income. If this sounds like the sort of job that could be a good fit for you, go here, have a look at the current openings, and submit an application. Are You Looking For Even More Remote Jobs? My e-book, How To Find REAL Work From Home Jobs, contains 150 legit companies, specific instructions on finding work at home jobs yourself, and also many, many resources you can trust for searching/following. It's also very affordable at just $5!